With picnic and potluck season in full swing, I’m always looking for new ways to prepare old favorites. Buffalo Wings are a perennial hit because they’re compact and tasty, but deep frying can be a hassle, and it’s not exactly a make-ahead dish. These miso glazed wings are a delicious alternative that can be prepared a day or two in advance. 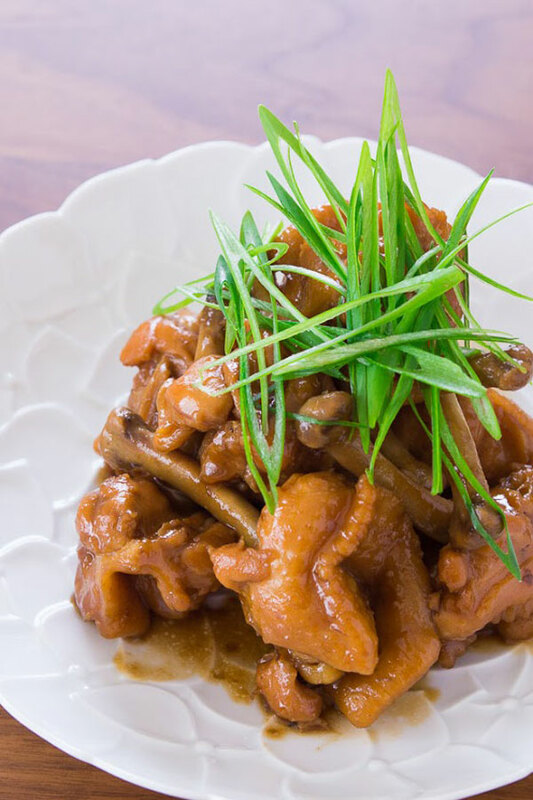 Even if you do chose to make them on the spot, your guests will be greeted with the mouth-watering aroma of brown sugar, miso and ginger rather than the heavy smell of stale grease. 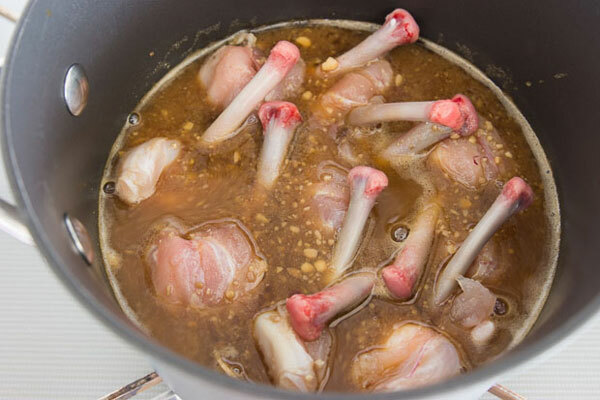 Because they’re slowly braised, the meat becomes fall-off-the bone tender and the savory sweet miso seasons the chicken all the way through. They can be prepared and kept warm in a crock pot, but the meat will stay tender at room temperature making them perfect for a potluck or picnic. I like to french the drumettes to make them easier to eat, but it’s not necessary (especially if you’re making a lot). 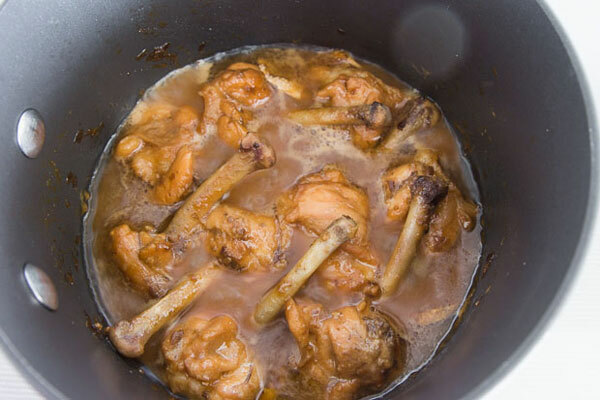 To french drumettes, use a sharp paring knife to cut around the neck of each drumette and then use the knife to scrape the meat down to the thick end of the drumette turning it into a chicken lollipop. If you feel like getting fancy you can scrape the cap of skin and cartilage off the other end of the bone to complete the look. Perhaps the best part of this dish is the the leftover sauce you’ll end up with. 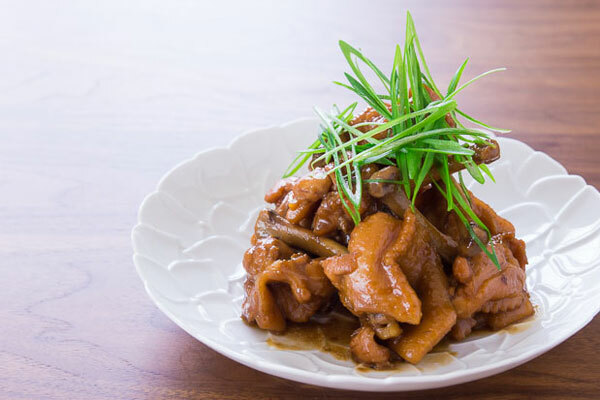 It can be reduced to a richly chicken flavored miso paste that makes for a delicious dip for fresh vegetables, or a flavor boosting ingredient for sauces and soups.